This is a personal narrative of a rose I saw. Even though its ridiculous, I want to know if you guys approve of my describing skills. Yup. It glimmered in the transparency of the sunlight, decorated with crystalline dew drops like studded jewels. The colors of the rose were absolutely glass-breaking. 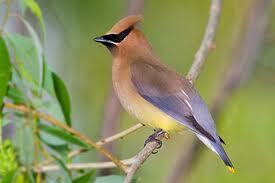 They appeared soft like the chest of a Cedar Waxwing, with Mother Nature’s beautiful bland of eye-popping hues. The stem and leaves of the rose were an army green, with bright spots of budding lime, as a sign of freshness. The petals are like jumping into a sea of silk. A pale, soft orange washes over the half of the petals which are tipped with a vibrant neon orange. The near center of the rose is breathtaking. The pale orange and a ghostly yellow mix creating an astonishingly beautiful color as soft as featherdown, and as vibrant as a bird of paradise. The still budding center is gentle, like as the song of an bunting, and the air of a glowing moon. In fact from a bird’s eye view, the shade of moonlit yellow is like a fantastical picture of a mid explosion. I wrote this a while ago in my journal so it may not be the best piece of writing ever, and it may not be continued. It just happens to be a high school romance so, brace your selves! She took a quick glance into the school bathroom mirror. What? She looked again, wide-eyed. The face in the metal frame was not Robyn. Robyn had caramel, shaggy hair parted to the side and clipped up with a white pin. Her eyes were luminous green on her peachy skin and blush colored lips. The face in the mirror had deep, dark, walnut colored hair that pulled back by a leather headband, and tied into a high ponytail that was maneuvered into a braid. The skin on this bust was ever so pale, and the mouth was beige. But most queer of all, was that they- Robyn and the mysterious face- both had the same eyes; the color, the little gray streak in the left side of the pupil on the right eye, the same long lashes that shielded their eyes. Robyn tore her gaze away, sucked in her breath, and dared a glance back at the cursed, school bathroom mirror. She glanced away, but then snapped her head back. But that’s- what- WHAT?! What is freaking going on! She saw the face of her dead brother, Kirk, staring back at her with brown, mournful eyes. He mouthed “twenty three”. I stumbled back to her third hour math not caring about if people bumped into me or accidentally shoved me away. I saw Kirk. No one had seen Kirk for three years. Three FREAKING YEARS and now he turns up in a mirror in a school bathroom?! I walked into Mrs. Miller’s math hour, and roamed drowsily to my desk and shoved all my binders under my chair. Mrs. Miller rambled on about how sophomores like us started to learn about the Pythagorean algorithm, while I was thinking. Twenty-three? That was Kirk’s favorite number. “RR-RRI-RING!RING RING!” The class bell rang and all the students rushed to get out before Mrs. Miller said Homework. Since we’re twins, Robyn and I have the same classes together. We both walked to Pod 4.5, Row 23 and went to our lockers. We have this kind of telepathic signature, where if we concentrate hard enough, we can psychotically communicate. But only for ten minutes because we can suffer the temporary loss of one of our senses if we do it too long. Do you think that the mirror thing was a coincidence? Then it’s some mysterious force, pulling at our minds? That can’t be! The senses are completely blocked out, not messed up. We pulled out our computer Technology folders and walked down Corridor 19890 to Computer Tech. Oh. Did I forget to tell you? The only other person who can interfere with our telepathic conversions is Nick. What a perv. Personally, I think he’s cute, but Robyn finds him so…. annoying. ????? Get out of our minds! Robyn shot a look at him. I was never in your minds, or was I? You two thinking About, Me? Nick smirked. Shut the fudge up, or get creamed in dodgeball in Gym! The three of us were still communicating as Mrs. Morris talked about our next animation project. We three? Yes? Were a group. Hooray. As our assignment, we had to build a story on top of our previous animation, and make a ten minute movie out of it. Our previous animation was 3 minutes long, and was about an enchanted promise land. Even creepier, the characters in the movie was what all three of us envisioned in the mirrors of the school bathrooms. Kirk? And Twenty-three? we both said. A new document popped up. It was named “23”. We exchanged glances of suspicion, as Robyn tentatively clicked the open button. Document 23 turned out to be a complete fifteen minute animation story, built on the previous one. “Okay, that’s just creepy,” I said. “Lets watch it!” Nick exclaimed. and reached over Robyn’s shoulder to take over the mouse. It started as our little enchanted world, and then this boy comes. Wait, that’s Kirk….! The ‘us’ get into a violent fight with him and it turns out to be an evil…. thing that dies and morphs into this necklace with a crystalline teardrop pendant with engraved symbols. Finally! Lunch. I ran to meet Robyn and Veronica in Corridor 19890 to walk to the commons for lunch. We talked about school and whatnot. But I felt that there was something they weren’t telling me. We sat down at our table; table 3B. Here is the list of my spontaneous table mates: Nick, Micheal, Robyn, Veronica, me, Moni, YoKarr, and Finn. Fantastic group, they are. We piled our tray with pizza, potatoes, salad and the non-toxic mush they serve down in the Jim-Bob. With our plates filled, we ate amid awkward silence. I believe that I was the only one noticing the angst and worry and retch of looks that Nick, Veronica, and Robyn were exchanging. I concentrated hard, so hard that a throbbing vein popped out in my temples, struggling to break the telepathic barrier that kept me from hearing the little conversation. Everyone else however, was staring at me. That was when I had realized how awkward it was to have a spoonful of mashed potatoes and brown rice dripping with fudge halfway to my wide mouth with my eyes squeezed tight. That’s when I realized I knew who Kirk was. I became frantic and clenched my fingers so that they folded and figurined into a twisted design of a pentagon, and it turned white. My face overcame with a wave of white, and I had experienced just then a painful feeling. It was time to leave. I dropped my spoon, splattering a mashed potato covered nugget onto my tray. Weaving through the commons and jabbering sophmores, I quickly reached a bathroom where there were no cracks in the stalls. I touched my collarbone, watched myself become transparent as I stepped north 10 inches. Robyn walked with Veronica by her side, Nick hot on their trail. The entire science period, Lila was no where to be seen. Everyone knew how engaged in science Lila was. She especially loved astronomy. Whenever the teachers proposed life on Mars, she quivered with nervousness and objected. Their 5th hour 2nd period science, the troupe went outside for a biology experiment. For my birthday, we went horseback riding at the same place we went to for my sister’s birthday, Saddle Creek Stables. Last time I went I had a beautiful and well behaved horse. This time I had a beautiful and, well, sort of lazy horse. Her name is Pocahontas, Poco for short because she was so slow. She had a very pretty dappled coat. Butterscotch, snowy white, and raven black. Poco is also a bit small, the perfect size for me. I would have no problem riding the beautiful thing; she is very nice and great for kids. Poco can slack off a bit though, when the lady was introducing her to some people, she said that a snail could probably beat her! Poco is also very well behaved, she obeys all my commands and responds to the slightest twitch of the reins-of course in her own time. I would have to squeeze my legs together to get her to go a little faster. I said”walk” so many times it doesn’t seem like a word anymore! The last time we went, autumn colors were dancing so the view was amazing. This time the view wasn’t as pretty but being in the woods with nature is still breathtaking. We got to see three doe! They were so graceful and pretty. Just like last time, as soon as we neared the ranch, I felt my stomach drop and my heart bracing itself to say good bye to my horse. This time I actually moaned out loud. As slow as Poco was, she was still just as well behaved as Leah, my horse last time. I loved her and nearly cried when Poco was lead away. I actually did get misty, no one noticed though. God bless my beautiful Leah, and young little Poke. I hope I will go riding again sometime soon. uke TIP offers 4th–6th Grade Talent Search participants the opportunity to enter our writing contest with cash prizes awarded to the winners and their school. Students must be enrolled in the 4th–6th Grade Talent Search. It is 2013. The presidential election is over, and now it is time for President Obama and Congress to focus on the administration and implementation of laws and policies. Imagine yourself as a member of the U.S. president’s Cabinet. Your job is to advise the president on challenging national and international affairs as he implements his administrative agenda. Choose an important issue that should be a top priority for the president and prepare a letter supporting your idea. To get the president’s attention, you will need to introduce the issue and clarify why it is important to citizens of the United States. It is important that you provide the president with a strategy to implement your plan. Countless voices are clamoring to be heard, claiming that their issues deserve top priority, so you must be convincing. Are you up for the challenge? Before you begin, view a tutorial (PDF) about how to prepare your letter. Curious about how your entry will be judged? Review score guidelines (PDF). Once you have written your letter, use the submission checklist (PDF) to make sure you have followed all of the guidelines before you mail your contest entry. Writing contest winners are highlighted in Duke Tip’s Navigator newsletter and on this website. Winning entries will be sent on to Washington, DC! First place: $250 to the winner from each grade and $250 to each of their enrolling schools. Second place: $100 to the winner from each grade and $100 to each of their enrolling schools. Third place: $25 to winner from each grade and $25 to each of their enrolling schools.